Shows current open defects by severity with a graph and a table. 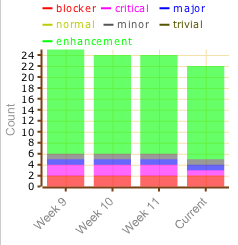 Shows weekly trend of defects by severity. 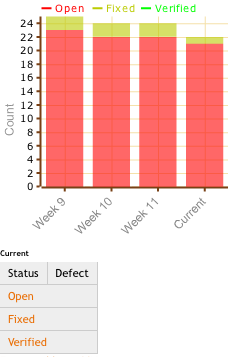 Shows weekly defect status trend as a graph and a table of current defects grouped by status.